Posted on February 17, 2017 by Cam Smithson / This entry was posted in Informative and tagged brooklyn, brooklyn smoke shop, bushwick, clouds, cosmic fog, cosmic fog e-juice, e-cig, e-cigarette, e-cigarettes, e-juice, Electronic Cigarettes, milk & honey, new york city smoke shop, nyc smoke shop, smoke shop, smoking, vape, vaping, vaporizer, williamsburg smoke shop. Bookmark the permalink. Cosmic Fog Premium Vapor is one of the leading brands of E-Juice in the world right now. Based out of Orange County, California, Cosmic Fog continues to break ground with their creative vision for flavor fusion. The two co-founders started on a four thousand dollar investment from their parents. Their goal was to use that money to make one thousand bottles of their only two flavors of the time, Milk & Honey and Cola Gummy. 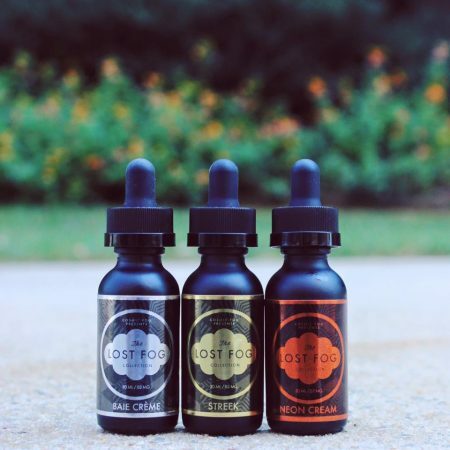 Fast forward to today, the company has eight flavors to choose from, including an extra four flavors from their special “Lost Fog” collection. 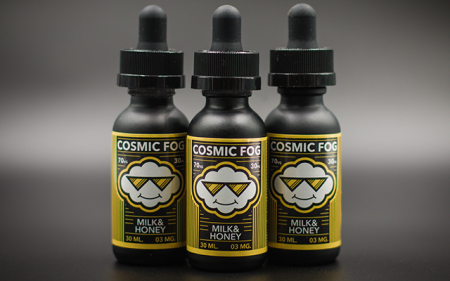 The Milk & Honey flavor is still being manufactured and is known as the Cosmic Fog standard that helps define the company. This brand thrives off of creating truly unique flavors. It seems as if they purposefully take influence from everything except the typical E-Juice world, instead drawing inspiration from fusion and hybrid chefs. This can be seen and tasted even in their oldest and most standard flavor mentioned above, Milk and Honey. A puffy marshmallow flavor blended with sweet milk, and a pinch of honey lends itself to a sweet and tasty dessert vape. Cosmic Fog truly cares about their e-juice, and wants each flavor to give the user a whole new perception of how e-juice can taste. The company claims to spend on average up to seven to ten months developing and perfecting each flavor before it hits the market. They also claim excellent working conditions for the protection and quality of the e-juice. Each bottle is produced and packaged in their “cleanroom” as well as filtered through five times as to avoid any extra germs or contaminants that could harm the smoker’s experience. Their current roster of flavors includes Sonrise, Euphoria, Milk & Honey, Sonset, Kryp, Chill’d Tobacco, Chewberry, and the Shocker. And finally their “Lost Fog” collection includes the flavors Dapple Whip, Neon Creme, Baie Cream, and Streek. And of course, like most e-liquid brands you have your choice of nicotine levels for every flavor. Depending on your vaping preferences you can pick between 0mg, 3mg, 6mg, 12mg, or 18mg. Cosmic Fog’s attention to detail has led them to become one of the best E-Juice companies in the industry. Their Milk & Honey flavor is a top-seller on e-liquid.com, vapinginsider.com listed them as the number 2 best E-Liquid brand, and in 2016 they won the Zamplebox E-Liquid Industry Leaders Award. 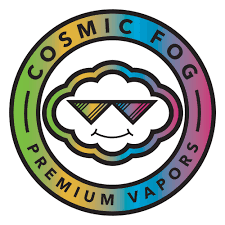 Here at Sunflower we are proud to sell Cosmic Fog products. Be on the lookout for more news and many new flavors to come from Cosmic Fog!